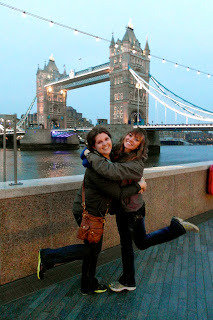 Eurospring 2013: Our Last Trip to London! This morning after breakfast we to the Tube back to London. The first place we went today was Hyde Park! It was really our first nice day in London so we actually wanted to explore here. We saw many statues and walked a little bit here and there. 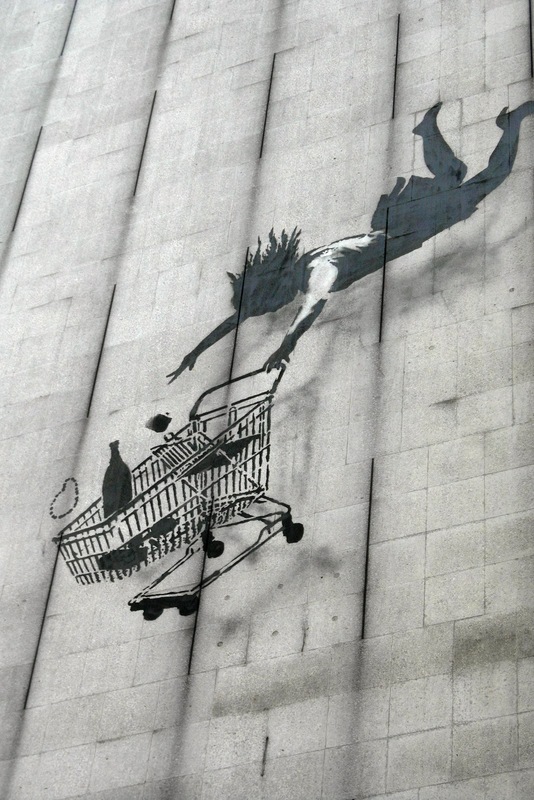 Then we went exploring for some street art by a street artist called Banksy, for those of you who don't really follow the art world or don't go on tumblr he is actually quite popular! Even to the point where people are starting to cut his work out of the walls of buildings! This stuff is right up Davids alley so he really wanted to find it- and yes we had to search but we found two pieces and they are pretty cool! 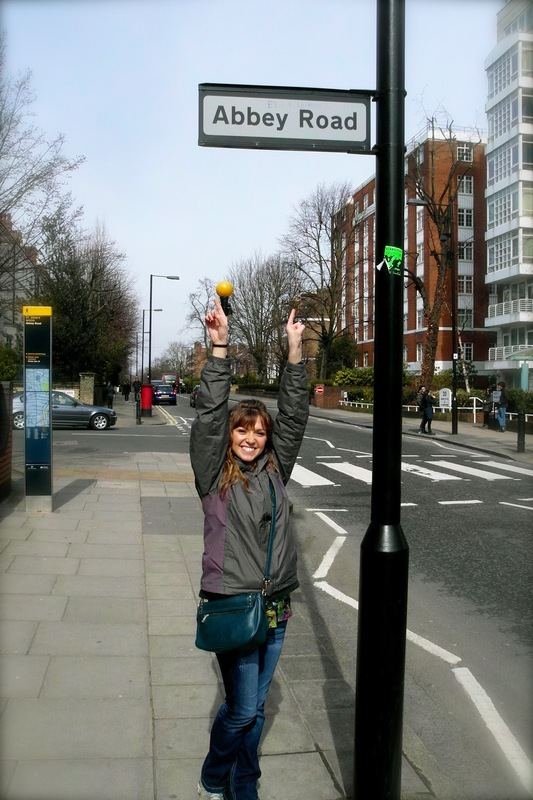 We also went to Abbey Roadto take a picture crossing the street like the Beatles did. This was straight up crazy. So many people are trying to take pictures and the locals hate it!! They start honking from 50 yards away and they plow right through the intersection almost hitting people all the time! Luckily we caught a couple breaks in the traffic and were able to get a couple shots! We also walked the road and found Abbey Road studios! David was psyched as he is a major Beatles fan. 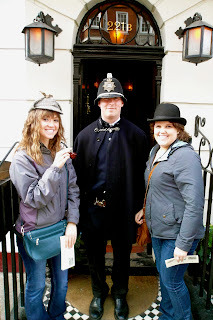 Then we went to 221B Baker Street to Sherlock Holmes house! This was pretty cool and they have done a really great job setting it up like the story describes it. It is highly decorated and looks like one would imagine it. 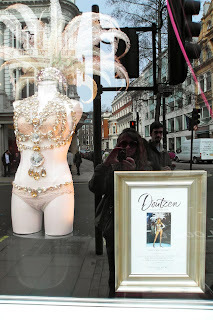 Then we came across the Victoria's Secret which houses several of the pieces worn in the fashion show, and there is a picture next to it with the model who wore it. In these it includes one which is a 5 million dollar bra! The store is insane to and had 5 floors! Then we headed back towards the river area and found some open piers and walked on the banks of the Thames. It was fun to walk on the sand but man was it disgusting. There is so much litter, glass, plastic, shoes, it's honestly hard to know what is a rock. But we still wanted to walk by here just to do it! Then we just hung out till it got dark so we could take some pictures with the structures lit up! It was a pretty tiering day and I wish I would have brought a pedometer with me to see how much walking we've done!